In this section we offer you a wide range of circuit-breakers, adjustable circuit-breakers (motor protectors) for the protection of motors, with range from 0.16A. All of them of high quality, completely safe to be used in their facilities in a professional manner. The use of the motor protection circuit breaker is very common in the protection against circuit breakers and overloads in electric motors or machines, as well as, for use in circuits of alternating current of 50 / 60Hz. Maximum allowed voltage (Ue): 690V. The circuit breakers are operated by pushbuttons and can be mounted horizontally or vertically on a DIN rail, thus adapting to the needs of their installation. They also offer the possibility of mounting auxiliary front and side contacts for more efficient operation. The elements of adjustable thermal protection are governed by the IEC 60947-4-1, 60947-2 standards established by the European Community. 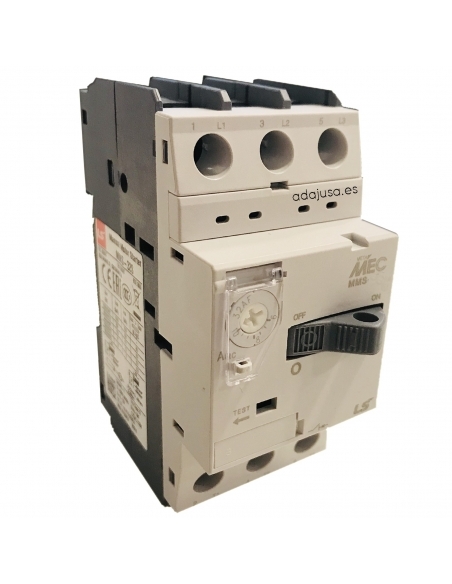 In adajusa.es we put at your disposal a wide selection of motopr protection circuit breakers designed specifically for the protection of electric motors. Here you will find circuit breakers with a regulation between 0.16A and 32A, type DZ518-M (GV2). The use of circuit breakers helps to avoid and / or prevent breakdowns caused by overloads or faults in the circuit in electric motors, whether monophasic or three phase. These switches can interrupt the activity of the circuits when the intensity of the current is excessive, thus protecting the installation. Do not hesitate and protect your electrical equipment or installation with quality motor protection circuit breakers at an exceptional price. 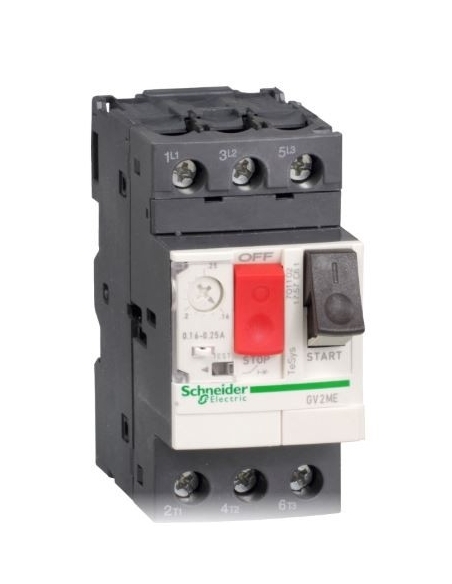 In Adajusa.com we put at your disposal the circuit breakers manufacturer by Schneider of the GV2 series, designed specifically for the protection of electric motors. In Adajusa.com we put at your disposal the circuit breakers manufacturer by LSis (LG Industrial Systems), designed specifically for the protection of electric motors. In adajusa.com we put at your disposal a select range of accessories for motor protection circuit breakers so you can find just those devices or accessories that you need to correctly install your circuit breaker. 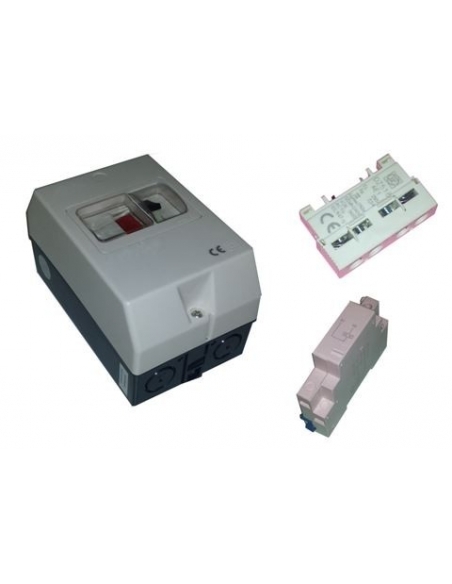 Here you can find accessories such as circuit breaker boxes for greater protection, front and side contacts with one or two contacts (open, closed) or coils with certain voltage minima, among others. Undoubtedly in this section, you will be able to obtain the best quality electric products to protect your electric motor in a completely safe and efficient way, with the confidence of acquiring products submitted to strict controls. Do not hesitate and buy adajusa.com motor circuit breaker protectors and accessories at a surprising price.